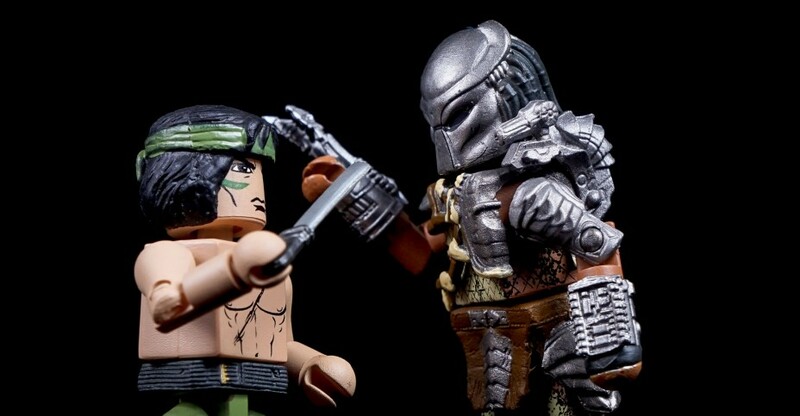 Follow the Toyark Twitter Account for your chance to win an excellent Predator Minimates Prize Pack courtesy of Diamond Select Toys and Toyark. We have two unopened blind bags, 7 sealed counter display figures, a Dillon and Predator 2-pack as well as the awesome counter display. Simply follow us and retweet the below announcement. That’s it. It’s open to everyone. A winner will be pick on Friday, April 22nd at Noon EST. 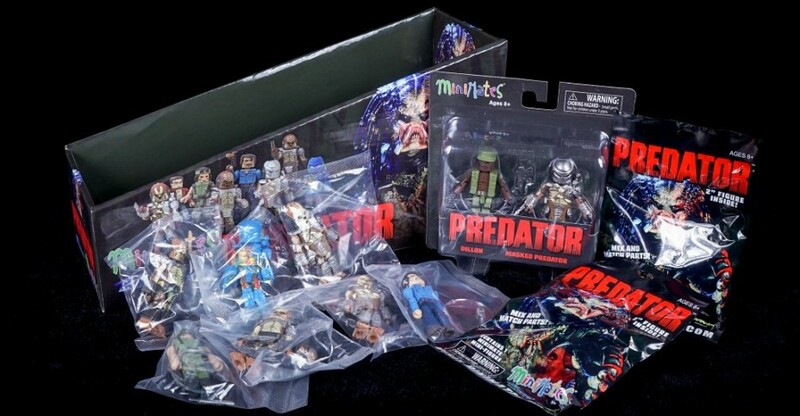 The first assortment of blind bagged Predator Minimates are now available at comic and specialty shops. These are available via a counter display, which hold 18 blind bagged figures. There are a total of eight different figures in the assortment. 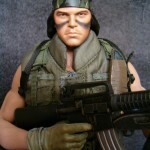 Included are Billy and the Jungle Hunter Predator (masked, unmasked and thermal) from Predator, the City Hunter Predator (regular and battle damaged) from Predator 2, and Edwin and Cuchillo from Predators. Edwin is the chase figure and is limited to just 1 per assortment. A few of these are the same as (or variations of) the figures available in the Predator Minimates Series 1 2-Packs. I had a chance to shoot the entire assortment. After the jump you can check out over 70 photos and a review of the Predator Minimates Counter Display. 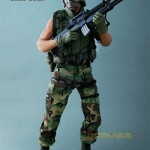 Toy Haven has a great look at the Hot Toys take on Billy Soles from Predator. In typical Hot Toys fashion, the figure looks stunningly awesome. We have mirrored a few of the images, but the full gallery can be seen Here. Hot Toys has unveiled their upcoming Billy Sole figure from the original Predator movie. Click on the title of the story for more images.